It's easy to see Ohio's rolling hills, historical towns and proud cities, but there's more than meets the eye when it comes to the Buckeye state. "Our Ohio is full of interesting stories and interesting people. We've met rough and tumble bull riders, a riverboat captain with a penchant for piracy, a couple who built their house from trash, creative restaurateurs and a lot of hardworking people trying to make a living from the land they love. When you travel off the beaten path you meet plenty of characters,” notes Our Ohio Producer Richard Wonderling. Watch Our Ohio Saturdays at 11am on CET, Sundays at 1pm on ThinkTV14 and Saturdays at 5pm on ThinkTV16. Our Ohio producers will be sending status updates and notes from the field. To stay in touch with the producers, follow ThinkTV on Facebook and Twitter. As the eat-local and garden-to-table movements continue to grow, private kitchens are also experiencing a renaissance of traditional skills. One of these is the craft of canning and preservation. Whether you’re looking to save some of that home garden or farmer’s market produce for later consumption, or you enjoy creating pickled delights as gifts for family and friends, honing your canning techniques starts with research and evolves with experience. Click on a few of the links below to learn more about this delicious practice. The National Center for Home Food Preservation (NCHFP) is a publicly-funded center for research and education on home food preservation. Thanks to our partner Culinary Journalist and Herbalist Rita Heikenfeld for sharing her insight into the two methods of canning introduced in the videos below: canning via water bath and with pressure. High acidity fruit and vegetables are easy to can and could be saved for years. Canning with pressure is required for low-acidity foods for safety. This includes most vegetables beside tomatoes, seafood, meat, poultry. Fresh eggs, year-round; how does that sound? One growing trend of suburban homesteading is owning backyard chickens. There’s plenty to learn before reaping the rewards, however, from building a coop to care and feeding for your flock. Resources abound to quickly position you at the top of your own pecking order. You can start by visiting one of the many online forums - there's a link below to one good one. Then be sure to double-check the regulations in your town or county via the web, or your local zoning office. You can also find local seminars and workshops which provide a more hands-on learning atmosphere. Many end up being listed on the main site for Our Ohio magazine. Amateur homesteader Marilyn Horning shares her love for her backyard flock, and what she went through to get it started. With a little diligence, even folks with smaller yards can grow their own fruit trees. And if you can grow one type of apple or peach tree, then you could potentially graft or bud a number of different varieties onto that SAME tree, making even better use of your own space. Learn more about the sweet traditions of grafting, budding, and even making cider by getting in touch with your local extension agency, or visiting a few of the helpful links below. Thanks to our partners at Hayfields Orchard and Turner Farm for sharing the fruit of their own experience! In many cases, replicating your favorite fruit tree can’t be accomplished with seeds. According to Marsha Lindner, with Hayfields Orchard, grafting is the solution. It has other benefits as well. Care to perform a little fruit tree surgery? Get more varieties from each tree by budding. Not all the fruit you pick from your trees will fit into a pie. Consider using some to make cider as a fresh juicy treat, or going a few steps further and fermenting it into an alcoholic beverage. Mother nature has been providing its occupants with sustenance since the dawn of life, and if you know what you’re looking for, you too can take advantage of nature’s bounty of wild edibles. For those interested in getting into backyard or wild foraging, check out what Culinary Journalist and Herbalist Rita Heikenfeld has to say about it, and then start educating yourself via a few of the helpful links below. Eating local and in-season just went to a whole new level! A few affordable books that could help: Stalking the Wild Asparagus, and Stalking the Healthful Herbs, both by Euell Gibbons. Wild edibles expert Rita Heikenfeld shares a little wisdom about literally preparing a meal from what may already be in your own backyard. Whether you live in a rural, suburban or urban area in Ohio, practicing beekeeping is possible. It’s also a fantastic way to learn about the environment around you and get a sweet reward for a job well done: honey! Learn more about this historic and satisfying tradition in your area of Ohio by getting in touch with a local beekeeping group. Thanks to our partners at TwoHoneys Bee Company for sharing their knowledge and passion. It doesn't matter whether you live in an urban, suburban or rural area, Liz Tilton says backyard beekeeping can be a rewarding hobby for most people. And the knowledge of nature you gain is as sweet as the honey. There's a lot going on inside that honeycomb. Those bees are working together, by the thousands, to keep their hive healthy. That's what I call bee-autiful teamwork. Edible gardening is a hobby in which you truly can reap the tasty rewards of what you sow. Backyard vegetable gardens can be as large or as small as your property will allow, but if planned right they can deliver fresh produce for you all season long. To learn more about going from seed to soil and back to your table, check out the links below. Happy harvesting! Thanks to our partners at Greenacres Farm Foundation for sharing their techniques for better soil and better produce. Soil tillage is important for any edible garden. Whether you are growing herbs or fruits and vegetables, Dave Chal with Greenacres says creating an environment for your plants to thrive is key to future happy harvests. Defending your vegetables against pests pressure can be a challenge, especially if you don't want to use insecticide. Dave Chal with Greenacres explains how reemay row cover could be a great solution for your leafy greens. Putting time into planning your mix of produce and cycles of planting in your garden can give you an endless harvest of edible options. As always, prior preparation prevents poor planting. Understanding the role compost plays and utilizing it in your edible garden are good steps to ensuring your plants' nutritional needs are met all season long. Keeping your soil active in your edible garden via cover crops can help you maintain a nutrient-rich seed bed and decrease soil compaction. Figure out your cover crop mix to keep your garden strong, all year long. "Farm-to-Table" or "Garden-to-Table" would have been the norm a century ago, but in our modern world, a little reminder of its benefits can help us all think more locally about our food. If it’s in-season, it’s usually cheaper too! Whether you’re growing it yourself in your own backyard (Kudos!) or you are supporting local farmers at one of the many produce markets around our state, feeding your family meals that include local seasonal fresh fare is a win-win for local producers and your taste buds. Find more resources below, including some seasonal recipes from chefs at The Midwest Culinary Institute. Thanks to our partners at Midwest Culinary Institute at Cincinnati State Technical and Community College for sharing their seasonal philosophies and Garden-to-Table recipes. Fresh farm-to-table cooking may seem like a daunting task during the winter, but with a little creativity and patience, you can create a hearty delights to ward off the cold. See downloadable recipes below. Spring means new life from the earth, and new options for your farm-to-table recipe list. Farm-to-table cooking may seem easy in the summer, but the challenge is in the abundance. Keep your ingredients local and fresh during Fall with these tasty Farm-to-Table examples. Whether you're an active birder or someone who wants to learn more about our state's native winged wildlife, there's no end to the diversity or knowledge you can acquire. Within our varied bird population is a sharp-eyed and quick-eared grouping of predators known as Birds of Prey, or Raptors. Learn more about these fierce flyers and how you can enjoy and protect them in the wild by checking the links below, reaching out to a raptor rehabilitation facility, or contacting the local office of the Ohio Division of Wildlife in your area. Thanks to our partners at Raptor, Inc. in Milford for sharing their knowledge and introducing us to their raptor ambassadors. They can be majestic, fierce, wise or wily. However you want to describe them, getting to know our native Birds of Prey -- from the smallest owl or falcon, to the largest hawk and eagle -- is just another great way to enjoy the beauty of Our Ohio. The call of the wild can often sound like an Ohio raptor. Listen up to learn more, as Raptor, Inc's experts talk about how you can detect nearby birds of prey when you're enjoying the outdoors. With well over 400 species of birds encompassing our spacious skies, Ohio has one of the most diverse bird populations in the region. The good news is that you can enjoy these beautiful songsters right in your own backyard by putting up a simple bird feeder or landscaping with native plants that attract nature’s bird food (insects). You can also create a space for them to nest, making your home theirs as well. Enjoy the company of our feathered friends today by becoming a backyard birder. The links below can help you begin that journey. Thanks to our partners at the Ohio Department of Natural Resources, Division of Wildlife and Jim McCormac for sharing their avid passion for our avian allies. Backyard birding is a great way to stay close to home but still get the most out of nature and our native Ohio species. Open up your home for nesting birds by installing a bird house or cavity, and you might extend their stay. Bring the beauty of Ohio's birds to you by providing them with food right in your yard. Seed and feeders are fine, but the best method might be by researching and feeding them with native plants and flowers in your yard. Trust us; they'll thank you with their presence. Butterflies, skippers and moths are some of the most beautiful, and delicate, insects on our planet. In Ohio, we have the privilege of having more than 130 species (some much more rare than others). A number of these you probably have heard of – the Karner Blue or the Monarch – due to conservation efforts underway in our state and others might have just fluttered by you leaving a pretty memory. With a little landscaping, you can offer many species a nice habitat and be able to enjoy them at your own home. Bring some of nature's beauty into your own life, by learning more below. Thanks to our partners at Krohn Conservatory in Cincinnati for sharing their knowledge and passion for these wonderful insects, and to Jim McCormac for his efforts and stunning wildlife photography. Butterflies are some of the most beautiful insects in the world, and a great way for any parent to get their child interested in this tiny part of nature. With a little preparation, you can set up your own butterfly garden at home to get the critters to come to you. The state of the earth, soil, and bedrock here in Ohio is all the result of tens of thousands of years of work by Mother Nature. The bulldozing effects of glacial advances and runoffs during glacial recessions have given our state a richness of topsoil good for farming, mining, and further scientific discovery. The scientists who continue to seek answers below our feet, geologists and paleontologists, continue to find new and exciting information about what made our state the way it is today. Thanks to our partners at the ODNR Division of Geological Survey including those at the Horace R. Collins Laboratory and Core Repository. Thanks to our partners at the Cincinnati Museum Center's Geier Collections & Research Center . The earth under our feet has more to reveal than you might think in SW Ohio. Brenda Hunda, PhD, with the Cincinnati Museum Center's Geier Collections & Research Center breaks down the revelations found in the area's bedrock. It's an Ordovician extravaganza: an ocean without fish! Glaciers left behind more than just till deposits in Ohio. They also helped make Lake Erie. Each week, Our Ohio tells the stories of Ohio’s places, faces and culture. We’ve done a pretty good job covering the state but we know there are more people and places out there to discover. 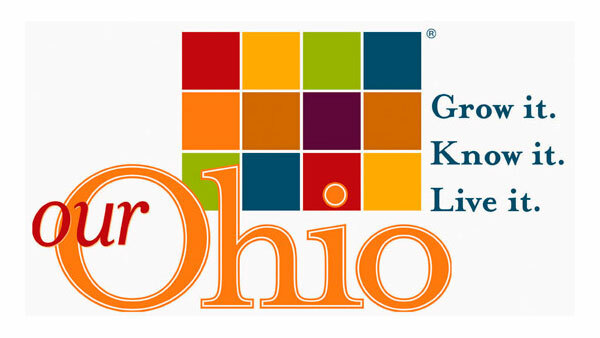 Do you have an idea or a story to share with Our Ohio? We’d love to hear from you.